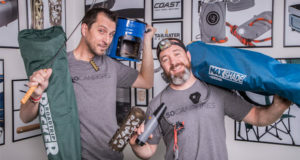 The 30 Day Flashlight (yes you read that right) from Ultimate Survival Technologies is unlike any other flashlight on the market. It is made out of tough anodized aircraft-grade aluminum with a rubber casing for easy grip. 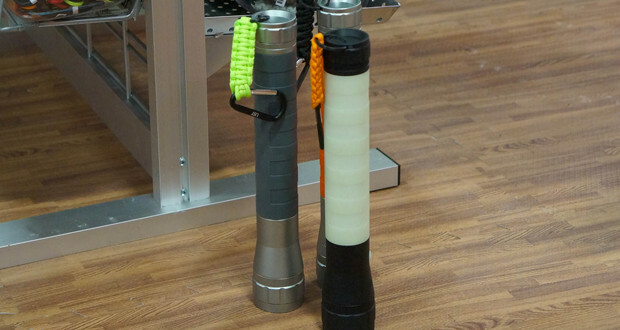 The flashlight has a 300 lumens LED bulb that has a lifetime warranty of not breaking. 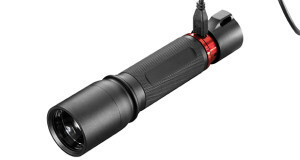 The unique “moonbeam” lens of the 30-Day Flashlight provides a crisp, broad circle of light with no hotspots or dark areas. The flashlight has 3 settings, high, low and SOS flashing. On the low setting, 35 lumens the flashlight will stay on for 30 days straight. It comes in three different colors, black grip with silver casing, orange grip with silver casing and glow in the dark. It runs off of 3 D batteries and weighs only 30 ounces. The moon beam lens shape provides a remarkably bright light beam which is uniformly cast in a single spot at a 60-degree angle, making it easier to see objects clearly in the dark.